Though their settlement with Facebook is estimated to be worth well over $100 million, Winklevoss twins Tyler and Cameron are apparently unhappy. The pair and their partner are attempting to undo the settlement with another round of business litigation aimed at the social networking site and its co-founder Mark Zuckerberg. 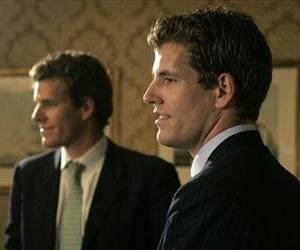 The New York Times reports that at the heart of the dispute is a settlement the Winklevoss brothers reached with Zuckerberg in February of 2008 as part of negotiations to settle the claim that Zuckerberg stole the idea for Facebook from the Winklevosses. With their attorneys, the parties sat down on the morning of the 22nd and worked all day and night, and into the next morning before reaching a settlement that basically involved Facebook acquiring the Winklevoss brothers' competing venture, ConnectU. Facebook would get all ConnectU stock in exchange for $45 million worth of Facebook stock (valued in the deal at $35.90 per share) and $20 million cash. So what's the problem with a settlement now valued at over $150 million? It appears the Winklevosses and partner Divya Narendra have reconsidered matters and believe they struck an unfair deal. They believe the two-page agreement hammered out nearly three years ago isn't sufficiently clear to be a legal, binding contract. They also contend that Facebook failed to disclose its internal valuation of its stock; a valuation that pegged the stock at $8.88 a share rather than the $35.90 the twins agreed to. Since the agreement was struck, Facebook's value has soared. It's now valued by some analysts at a whopping $50 billion. While the twins might have lost out on hundreds of millions of dollars by agreeing to the high valuation of Facebook stock, was it really up to Zuckerberg and Facebook to inform the twins that if they'd done their homework better, they'd know the stock was worth significantly less? That's up to a court to decide, of course. Most observers don't believe the Winklevoss brothers have much of a chance of prevailing in court, though many say this latest legal foray might net them a larger settlement.